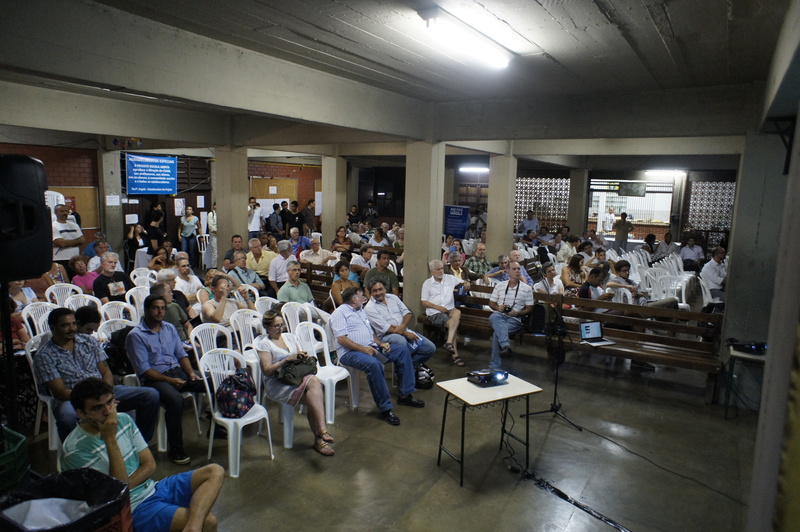 An estimated 300 people attended a public hearing about Line 4 of the Rio metro last night, at the André Mauroi public school in Gávea. After hours of exposition on the part of government officials, participants were at last able to question plans for the new line and the studies that underlie it. The hearing lasted six hours, ending around two a.m. Here were the makings of a bloco samba for carnival — a subject that dominated the carioca media over the last two weeks. But the lights and cameras must have been in hangover mode. 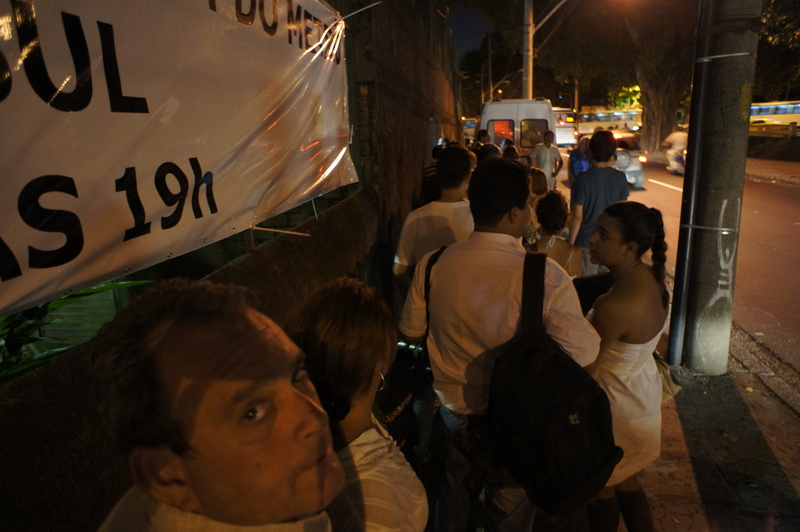 “It’s a big joke,” said Eduardo Sagessi, a prime defender of the Praça Nossa Senhora da Paz park in Ipanema, which the new line is set to pass through. The issue couldn’t be more serious. The original plan was for Line 4 to go through the neighborhoods of Jardim Botânico and Humaitá, en route to Barra. Now it will be a continuation of the existing line that ends in Ipanema at Praça General Osório, crossing Ipanema and Leblon. According to a study presented by the state government, there will be more tax revenue collected by way of the new plan, which cuts through a highly commercial area. Do we want to concentrate business and urban demands even more than they already are? RioRealblog wasn’t able to stay for the entire hearing. But there was time enough to discover that the demand study, performed by the renowned Getúlio Vargas Foundation, is based on a public opinion survey and obervations of current behavior as regards urban transportation choices. Until about 8:30 p.m., the blog heard nothing about urban planning. In other words, nothing indicating any sort of vision of the future city. Consumer transport demand can change, given the dictates of public policy. Even if tons of people want to drive their cars this doesn’t mean a city should build more avenues. The same holds for the preferences seen in the FGV study. The current trend in public policy is in fact to shape behavior so as to create sustainable, realistic environments. The book Nudge: Improving Decisions about Health, Wealth and Happiness ought to be required reading for any public policymaker. Several specialists say that if current Line 4 plans are put into practice, there’ll be long lines to get on board trains in the South Zone, because the cars will fill up in Barra. This is already the case in São Paulo. Linear mass transit causes this. Networked lines, as in New York and Paris, lessen this. Unfortunately, complete coverage wasn’t possible. But MeuRio, a new NGO that promotes more participation in local public policy, stayed to the end and carried out many interviews, including one with state Transportation Secretary Julio Bueno. He’s the guy who quietly hung on to his job after the tragic bonde accident in Santa Teresa last year, caused by poor maintenance and low investment. According to Meu Rio (whose coverage is here), at the end of yesterday’s session the attendees asked for an additional hearing, but the government didn’t seem very interested. Due to decades if not centuries of authoritarianism, Brazil has little experience with community participation. Now, as Rio makes a comeback, is the time to band together and push for decisions that are just and enlightened. Go to the Meu Rio site, sign yourself up, and let’s samba– in all seriousness. 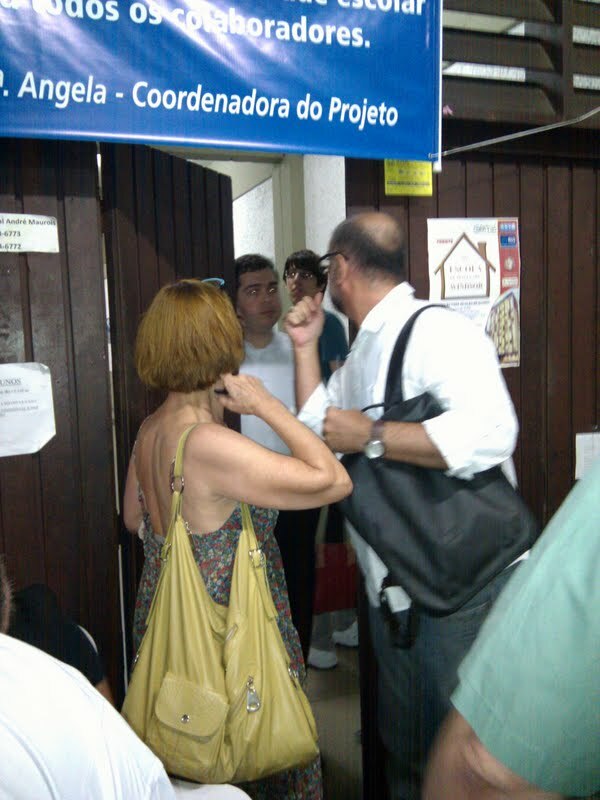 This entry was posted in Brasil, Brazil, Transformation of Rio de Janeiro / Transformação do Rio de Janeiro and tagged rio-de-janeiro-metro-line-4, rio-de-janeiro-public-hearing-metro. Bookmark the permalink. You make some great points, Julia, especially with regard to the networked vs. linear layout of the system. Of course I’m not apprised of all the demand projections and issues involved, but it seems to me that the message from the city to the public should be framed as: “here is the ultimate metro network, and here are the segments we’re building first, and why”. Transportation should planned in concert with a land use strategy, but it would seem to me that, for the foreseeable future, demand for trips between Copa/Ipanema/Leblon and points west is quite strong and needs relief, no? A metro running through Jardim Botanica and Humaita would be unable to serve that demand directly. Also, it seems that the current tunnel through which Line 1 runs could accommodate many more trains. Is MetroRio planning to run trains that don’t travel all the way to Barra but that turn around in, say, Gavea? This might allay the crowding problem.